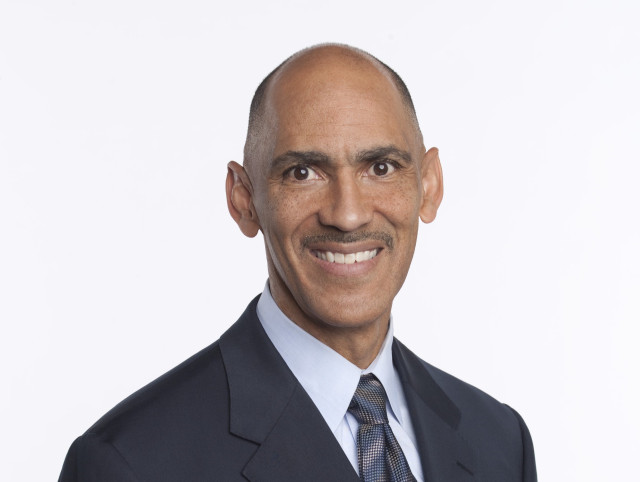 Former Indianapolis Colts head coach Tony Dungy is now a professional football commentator. Dungy was criticized for his comments about this year’s Super Bowl performance by Eagles’ quarterback Nick Foles. Dungy mentioned that Foles’ faith helped his performance in the big game. Some critics said that football analysis and religion should not be mixed. The world will never understand that true Christians cannot compartmentalize their faith. We can’t put Jesus in a box and pretend that he does not influence every part of our lives. Jesus says that we are the “salt of the earth” and the “light of the world” (Matthew 5:13-16). Christians infiltrate society and spread the truth of Jesus in any and every type of situation. Faith that is not shared is not true faith. That’s true for quarterbacks, announcers and your average Christian who sits in the pew each Sunday. This entry was posted in Christian Living, Sports and tagged faith in the workplace, illustration, Matthew 5:13-16, Nick Foles, salt and light, sharing your faith, Super Bowl, Tony Dungy. Bookmark the permalink.